We ate a lot of pancakes when I was growing up. We had a couple of cows, so we usually had lots of milk, we had chickens so lots of eggs, and there were five children, so lots of hungry mouths 🙂 We usually had a whole bunch of bananas hanging on the veranda too, so banana pancakes were one of our most common types. Banana pancakes we made as quite a thick fluffy pancake, but probably our favourites were crêpes, with either the classic lemon and sugar, or a sort of DIY caramel sauce of brown sugar and cream. 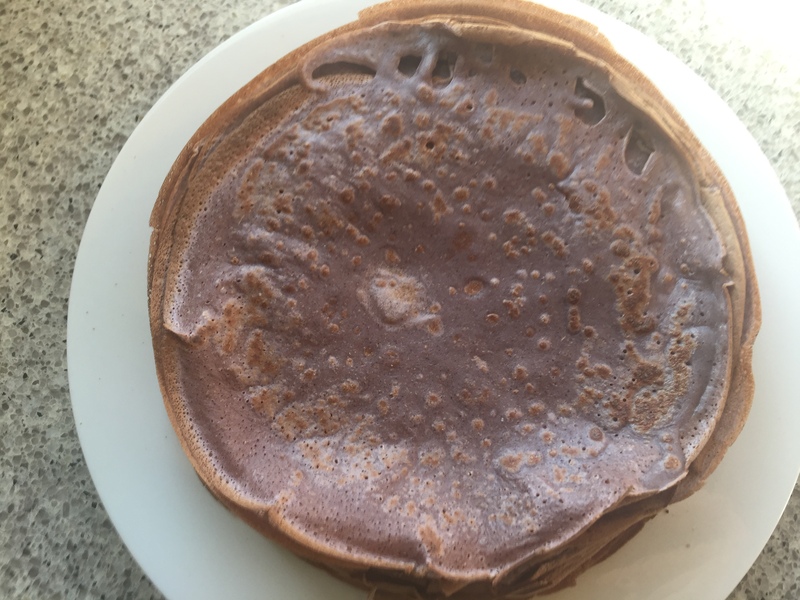 Well I think I’ve passed on the pancake gene, as they’re one of my kids’ favourite breakfasts too, and I’ve already posted a couple of pancake recipes here. 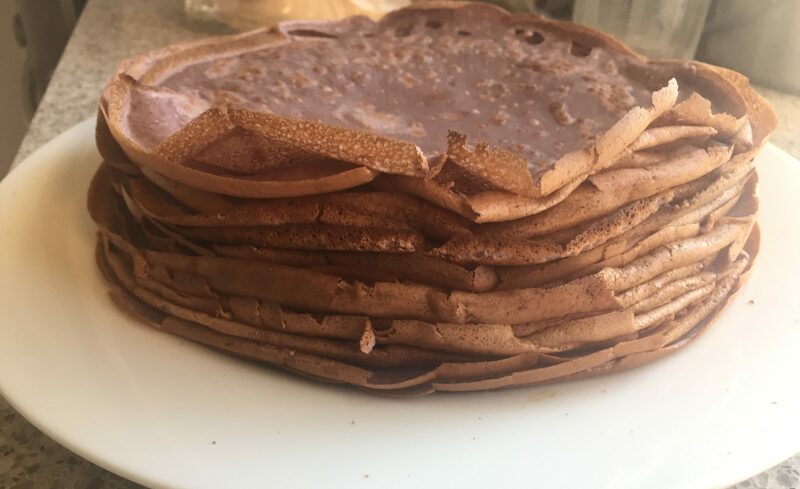 Both of these are risen pancakes, as I haven’t yet posted any crêpe recipes, and while you probably don’t need a basic crêpe recipe, these have a bit of a twist. They’re a mixture of plain and wholemeal, with the rather dramatic addition of purple corn flour. 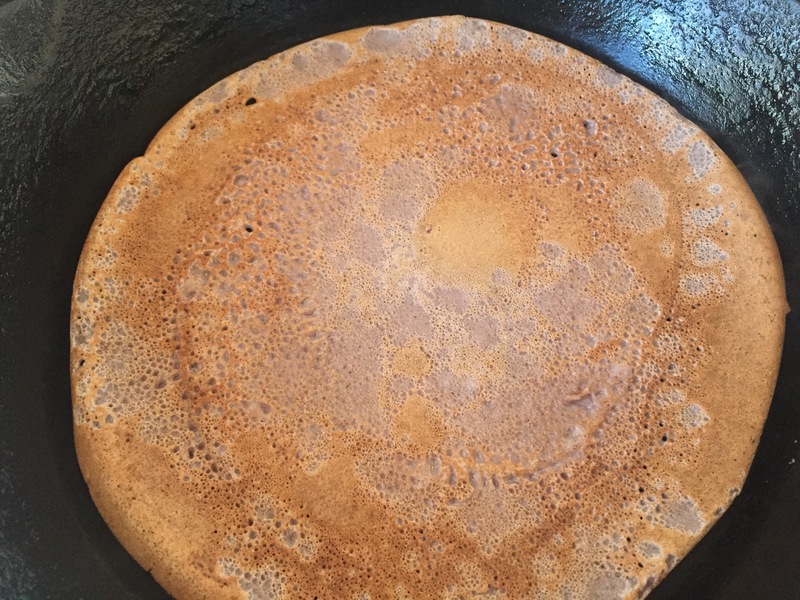 The colour of the flour itself is fantastic enough, but I love how the colour comes through in the final crêpes, and when the children were little it was a source of endless fascination! Purple corn flour used to be quite rare, but is now an increasingly common product, and I’ve seen it in a few health food shops so keep an eye out. This is one of the few recipes I don’t make by weight, and in fact I don’t really measure properly at all as it’s all about getting a good pouring consistency, and the amount of liquid needed to reach that can vary quite a bit. 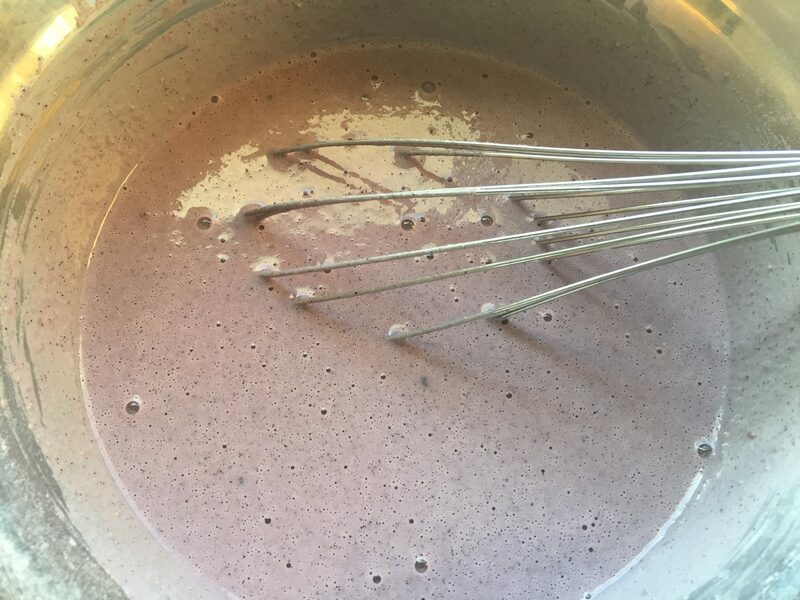 So be aware that the recipe below is an approximation, but as long as you have a thin enough batter to swirl you’ll be fine. My children love the toppings I had as a child, but also enjoy crêpes with berries, and a combination of jam and yoghurt, discovered courtesy of a Russian friend. 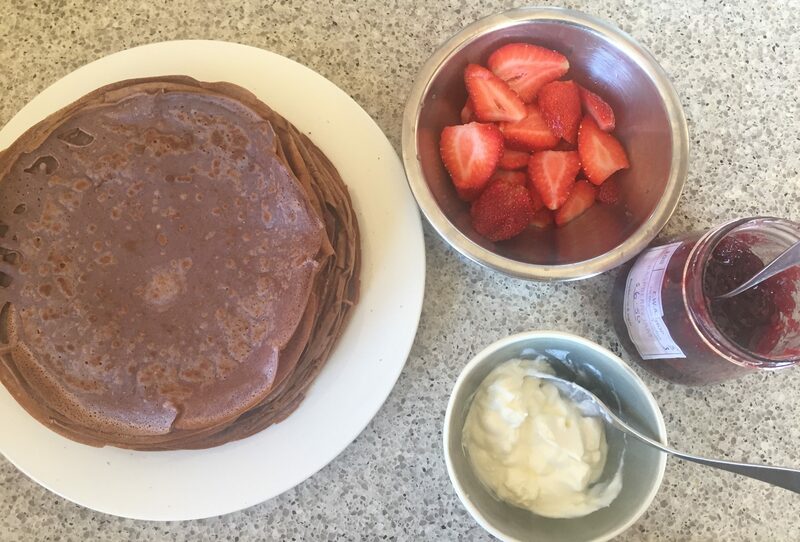 The picture below shows the pancakes made with a different brand of flour in brighter light – they can be unbelievably purple! Whisk together the dry ingredients and make a well in the centre. Crack in the eggs and add about 1/2 cup of the milk. 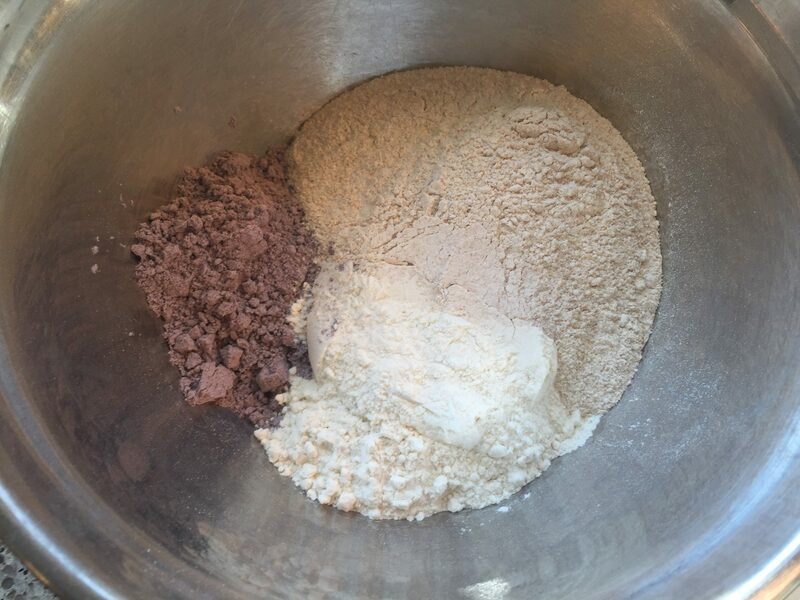 Start whisking together, gradually bringing in more of the flour from the sides. 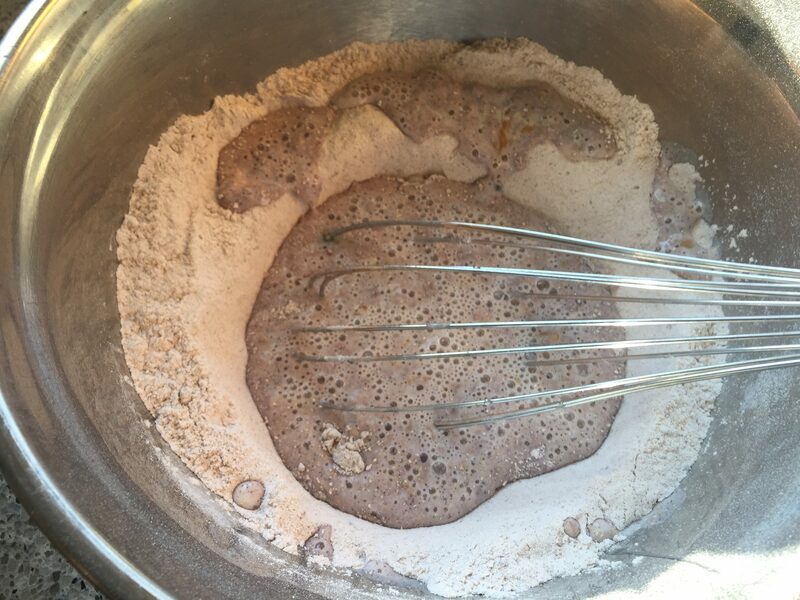 Continue to add more milk until all the flour is incorporated, and you have a thin batter that pours like thickened cream. Leave to rest for about 30 minutes. Whisk again briefly, and add a little more milk if the batter has thickened. 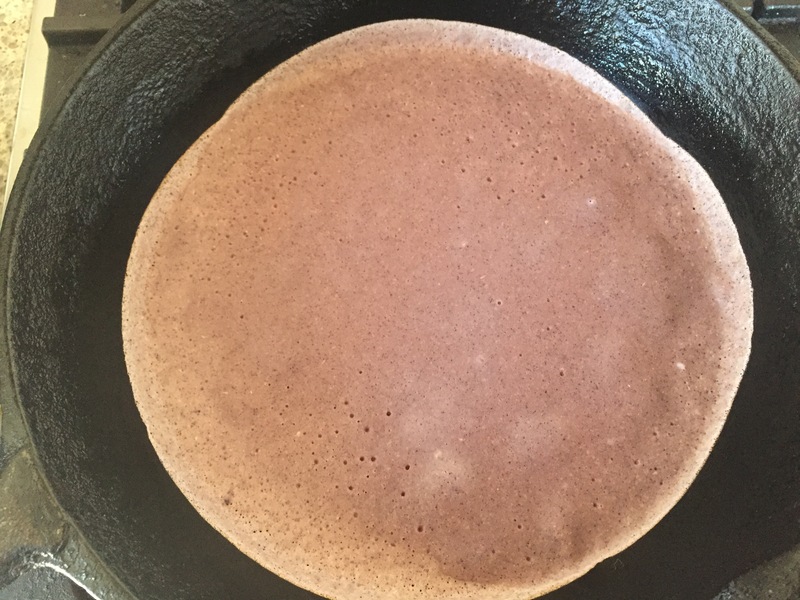 Heat a shallow sided frying pan over medium heat – a non stick crêpe pan if you have one, I use my trusty cast iron – and rub with a little butter. Pour in about 1/4 cup of batter or a bit less depending on pan size to just cover the base. Swirl quickly around the pan, and cook for about a minute until brown. Flip and cook about 30 seconds on the other side. It should be barely coloured so you can see the wonderful purple! Serve with lemon and sugar, berries and sugar, brown sugar and cream, or jam and yoghurt. Makes a big pile (see top picture), about 20 I think, and they last well; we often warm up left overs the next day. Wow! I’ve never seen purple corn flour before Beck. Is there somewhere here in Canberra where you can get it from? Such a quirky ingredient!